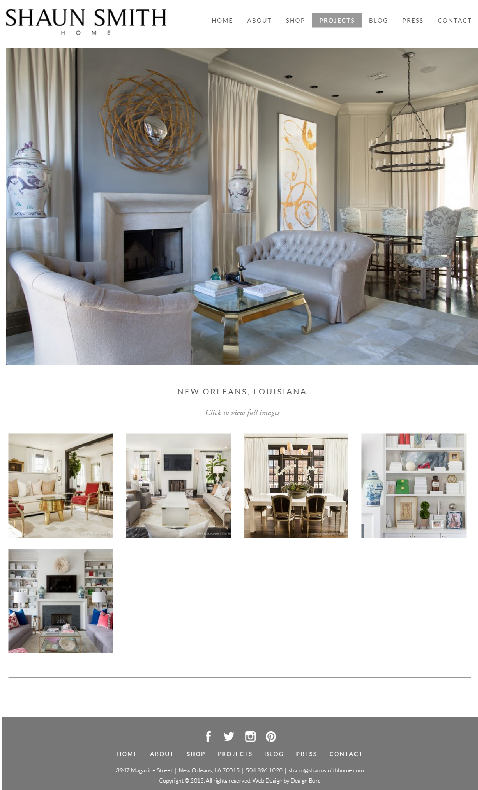 Design Burd Inc.Shaun Smith Home | Design Burd Inc.
Shaun Smith Home is a full service design firm, lifestyle brand and shopping destination on historic Magazine Street in New Orleans, LA. Shaun, a 2015 Next Wave designer for House Beautiful magazine is known for a look that appears more collected than decorated, clean yet classic. His shop is an ever changing amalgamation of styles, objects, antiques, vintage finds and rare curiosities.